Today in 1842 representatives of the government of China and Britain signed the Treaty of Nanking. This marked the end of the first Anglo-Chinese opium war, and set Hong Kong on course to become an independent, unique, world-class city. China hates it. For them, the treaty marks the beginning of the Century of Shame (百年国耻). The treaty called for Hong Kong to be ceded to the British “in perpetuity”. The treaty also stated that the ports of Xiamen, Guangzhou, Fuzhou, Ningbo, and Shanghai should be opened to foreign trade. It destroyed the old trade system known as the Canton System (established 1760), where traders could only deal directly with specified middlemen. Now trade was open in all the new ports. China also had to make payments for opium destroyed in the war. All British prisoners of war were released and amnesty was granted to Chinese citizens who cooperated with Britain in the war. Many call it an “Unequal Treaty” given that China lost much and Britain had to give nothing in return. The Treaty was signed at the end of the First Opium War (1839 to 1842). China’s far larger fleet and army were defeated by better trained British counterparts. The defeat led to a deterioration of China’s sovereign rule and saw marked increases in traders and foreign presence in China. It also led to a drug scourge. Britain was granted free access to sell opium in China. In 1842, China’s population was over 400 million, of whom at least 2 million were opium users. By 1881 the country’s population was less than 370 million, of which as many as a third made regular use of opium (Source: Wikipedia). 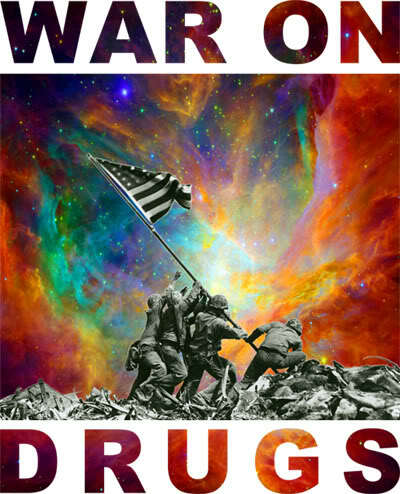 Today America is in year 40 of a War on Drugs. Odd to juxtapose this anniversary with another campaign to eliminate drug use. The Treaty of Nanking seemed designed to institutionalise drug use. Was this the first War on Drugs? The Communist Party of China never fails to comment on the first opium war. The rise to power of the Communists was in part due to the previous governments’ failure to exclude foreign powers from China. One “raison d’être” for the Communists is the ability to end the Century of Shame. Without the Treaty, Hong Kong would not have had 100+ years of direct governance by Britain. The legal system, infrastructure, focus on trade, English language and open borders are all direct contributions to Hong Kong’s prosperity today. Also without the treaty, the Communist Party of China wouldn’t have a strong base of nationalism to draw on. It may not have even won power as prior governments wouldn’t have been seen as weak against foreign powers. This one single treaty has shaped the fates of Hong Kong, China and Britain. Happy 170th anniversary to the Treaty of Nanking. Author’s Note: This article was inspired by a cover story in the Post Magazine of The South China Morning Post on 26 August 2012. This newspaper does not allow non-subscribers to access its content so my article never directly references the publication. Thanks though to journalist Stuart Heaver for a great article!